This new L-shaped pool, designed and built by Mayfair Pools, features a Pisa Blue interior, which complemnents the in-ground factory spa pool. 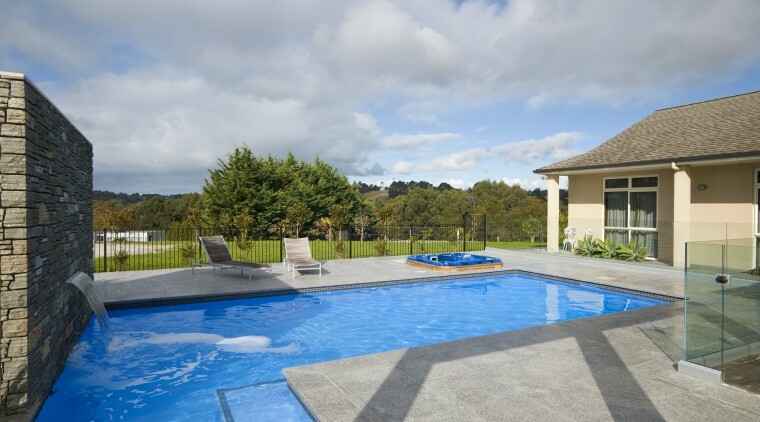 An inviting poolscape is just as much about the surrounds as it is about the pool. Get both elements right, and you have an ideal landscape for summer entertaining. 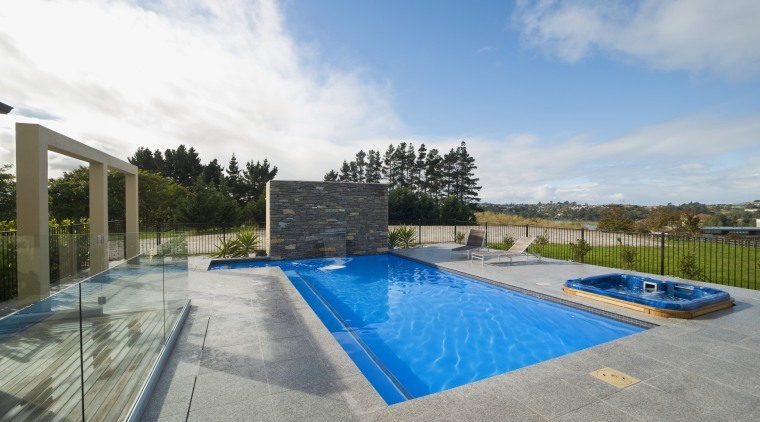 To complement the country setting of this new pool, Mayfair Pools created a freestanding natural schist wall and a flamed granite pool surround and coping. Director Richard Rowley says the wall incorporates a sheer descent waterfall, and conceals pool heating, pump and filtration equipment at the rear. 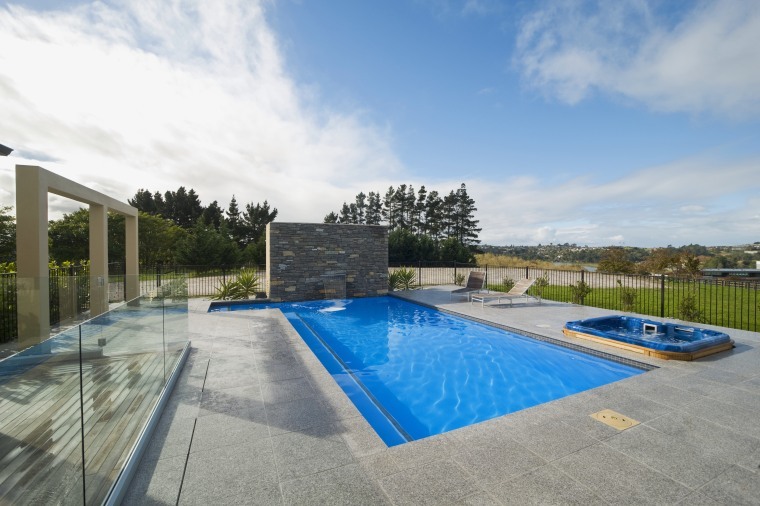 The pool has a Pisa Blue interior, and is edged with small natural stone tiles. 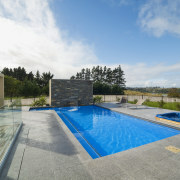 "A factory spa pool was set into the ground next to the pool to provide an integrated look," says Rowley. "The glass balustrading between the house and the pool complies with fencing regulations and ensures the river and country views are not compromised." Rowley says the in-pool lighting and heating make the pools just as appealing by night as they are by day. Mayfair Pools specialises in custom-built fibreglass pools that can be manufactured to any size and shape, to fit virtually any site. The company, which has been in business for more than 35 years, has a network of agents throughout the country. For more information, or details of your nearest agent, contact Mayfair Pools, freephone 0800 Mayfair (629 324). 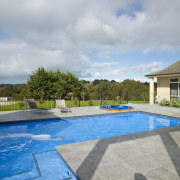 Or visit the website: www.mayfairpools.co.nz.